Selva Capuzza is located at the beginning of the Morainic amphitheater south of Lake Garda. These hills have been created by the melting of the glacier which founded the lake. The soil is mainly composed by clay with a strong presence of stones. This is one of the typical features of this higher area. During the labour on the soil, big rocks belonging to the massif highland of the Dolomites were found. They were distant more than one hundred kilometers. These are erratic massives, fallen down in the ice era during its period of maximum extension and they were carried away thanks to its ice-slide. These massives are visible all around the cellar and The Borgo San Donino. The high position of 50 to 70 meters above lake-level ( it is situated at 50 meters above sea level) allows our vineyards to have good airing which helps to maintain a low humidity level and then to minimize human intervention. 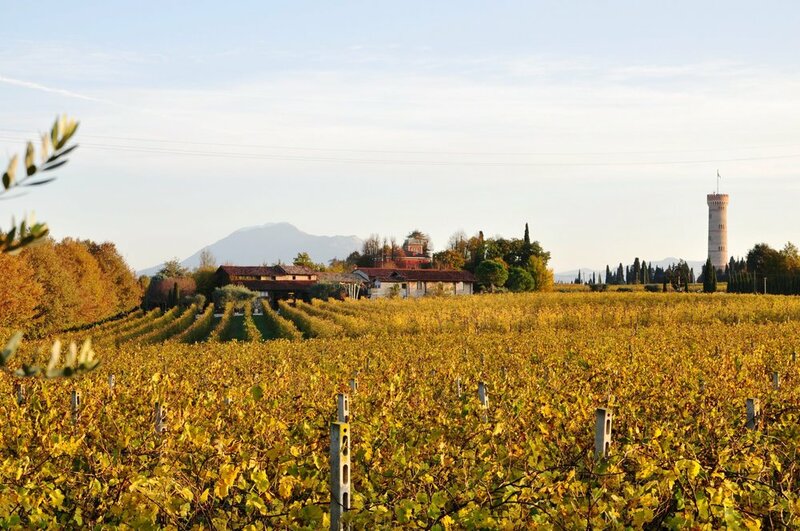 From an environmental point of view, the area is an oasi of wonderful beauty, full of vegetation and lost in vineyards. Nowadays it is an area dedicated to agricolture, in order to preserve the local identity. Selva Capuzza has been one of the first companies of agritourisms to obtain the hunting forbidden in the area. This permitted a spontaneous re-population of wild animals like: hares, squirrels, foxes, owls, buzzards, hoopoes, pheasants. Selva Capuzza is in the middle of the area where in 1859 broke out one of the most bloody battles in italian history, the battle of San Martino e Solferino. We can find it between the two towers, location of the battlefront. On one side of the external wall of Cascina Capuzza, a commemorative stone is visible, reminding the military lineup of that day. San Donino was a datum point on different military maps and a gathering place of injured people, maybe because of the namesake church. Battaglia di Solferino e San Martino. From Wikipedia. 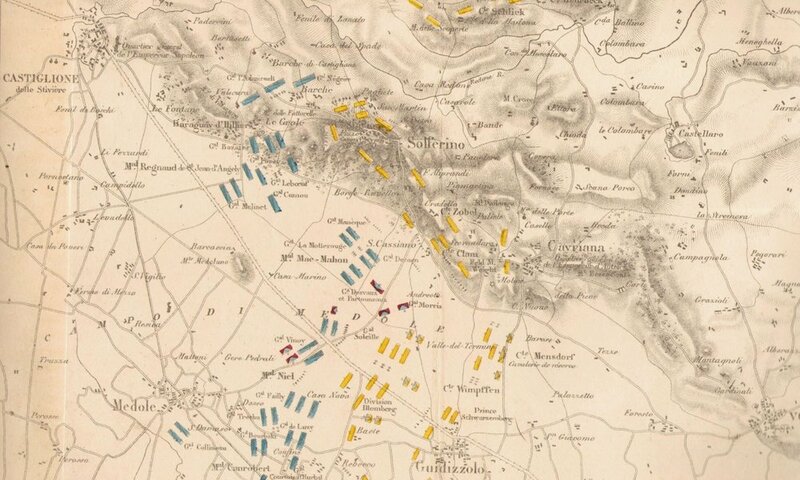 The battle of San Martino and Solferino in a french map from 1859. 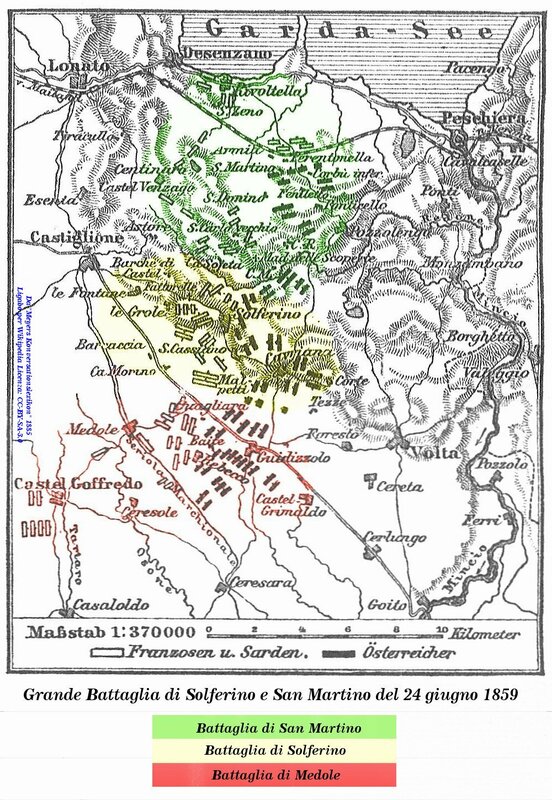 In green the Piedmont troops, in blue the french ones, in yellow the austrians. From Wikipedia.